We install Glass Extensions across Hull, Beverley, Market Weighton, Hornsea, Goole and surrounding areas. Glass Extensions allow you to open up your home without compromising on security or comfort. 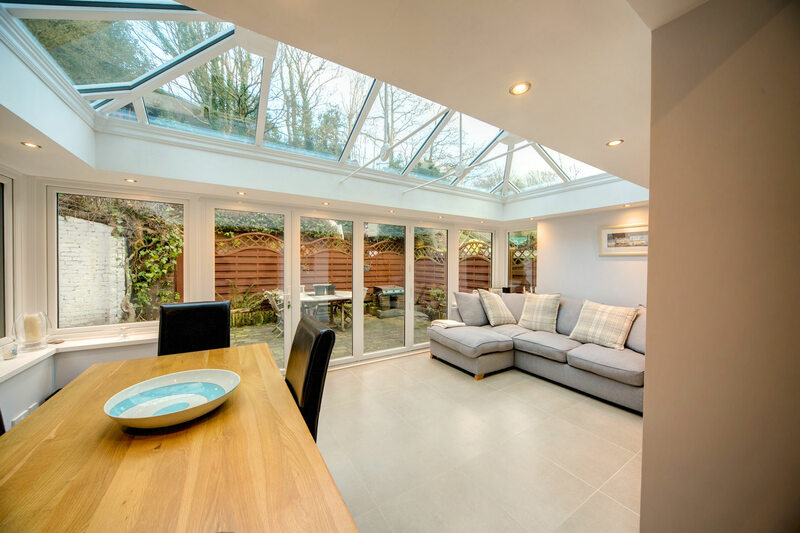 Through the combination of the Classic roof and high performance glazing, you’ll be able to bring a new addition that remains the optimum temperature all throughout the year. With this in mind, you won’t have to worry about being too hot in the summer and too cold in the winter. Further to this, our Glass Extensions feature an intelligent glazing design that works to reduce solar gain. This means that you won’t have to worry about any furniture fading in the sunlight. They are also structurally designed to meet the wind and snow loads in your area, giving you the peace of mind that comes with tailored weather protection. Our Glass House Extensions can be fitted with a choice of glass roofs, including the uPVC Classic roof, aluminium Classic roof and the Ultrasky roof. This means that you’ll be able to bring the right fit for your home and your needs, with each roof offering a unique degree of quality for you to enjoy. A member of our friendly team will be on hand to ensure you get the right fit. A modern approach and high performance glazing allow our house extensions to achieve an impressive degree of heat retention. The warmth from your central heating will be able to stay in your home for a longer period of time, which in turn could help you to save money on your heating costs throughout the year. We know that you want to enhance your home as soon as possible, in a way that minimises the disruption to your daily life. With this in mind, all of our house extensions are fully compliant with all building regulation and planning permission requirements. With this in mind, you’ll be able to bring industry-leading quality to your home without the hassle. All of our Glass Extensions are designed to perform just like any other part of your home, delivering unrivalled standards of thermal efficiency, security, durability, performance, and appearance. This is made possible by combining premium grade materials and modern manufacturing techniques to offer a new room that remains comfortable and usable long after their initial installation. To enable you to capture the right feel for you, these house extensions are fitted with an insulated internal pelmet that works to increase heat retention and house a range of customisation options. This includes lighting and speaker options, all of which can be fitted in bespoke placement. You’ll be able to use your new extension for a wide variety of purposes. Further to this, our house extensions are also fitted with super insulated columns. This innovative addition draws inspiration from the architecture of the Italian Renaissance, using modern techniques that achieve a standard of thermal efficiency that is five times more effective than a brick pier of equivalent size. You’ll be able to enjoy better standards in a traditional way. We offer a range of choices to enable you to bring something special to your home. This includes a wide range of beautiful colours for you to choose from, as well as a wider insulated perimeter pelmet and/or central lighting panel. Further to this, we also offer a selection of decorative cornices for you to choose from: including a one, two, or three tier option. Due to the premium grade materials used in the manufacturing of our glass extensions, they are able to achieve an impressive lifespan. This means that even after prolonged exposure to the elements, you won’t have to worry about warping, bowing or cracking. They are also accompanied by a comprehensive 10-year guarantee for your complete peace of mind. Our online quoting engine to get a free, instant and competitive glass extensions quote. All you need to do is follow the simple step by step process to get a bespoke price for you. This tool allows you to make things as cost-effective as possible. You’ll be able to enhance your home with more, for less. Alternatively, our online contact form is the ideal place for you to speak to a member of our team. We can offer you a quote through this method should you prefer, or we can get in touch with us if you have any questions regarding our house extensions or other products.